I'm older and have a ton of experience over the years from the Army, which was far more tactical than practical. I hiked and climbed in Washington, Oregon, Alaska and California. Desert to Alpine and now I'm in SE Asia. In the past I had Gregory, Dana Designs and a couple REI packs in the early days of internal frame. On a limited budget I'm trying to choose between a Gregory Baltoro 75 or a Fjallraven Kajka 75L. The Baltoro is 2 pounds lighter. Both have great features and fit with what I became accustomed to carrying in the past. I'm not going after ultralight, but will keep my skin out load at around 40 including food. I'll be in tropical environment to include jungles with high humidity, heat and torrential downpours. I'm also planning on a trip to Taiwan with much milder temps and weather. I also have a trip to Nepal lined up. Thus my desire for a 75L pack to handle bulkier clothing and sleeping gear. A really broad use for one pack I know. 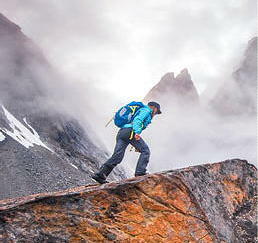 The Baltoro 75 gets great reviews. I think the Fjallraven Kajka 75L is sturdier. The Kajka has a highly customizable fit system. I can order the Baltoro in a Medium plus large hip belt. Unfortunately I can't try the packs on.